ICO stands for Initial Coin Offering, it’s a new phenomenon that started about 5 years ago that is gradually reconstructing and revolutionizing the traditional financial system of shares, stocks and trade. ICO means raising money, either cryptocurrency or traditional fiat currency, to get a specific project funded – usually to create a new create a new cryptocurrency other than the blockbuster coins like Bitcoin and Ethereum. If you are familiar with Initial Public Offering (IPO), it’s basically almost similar to that, the only difference is that the money invested doesn’t give the investor an ownership stake of the company, instead, the money goes to fund a new cryptocoin, hoping it would soon get highly circulated to increase its worth and possibly make money. Invested money in ICOs can be easily liquidated – this means that tokens can be simply converted into Bitcoin should an investor wish to. You may be investing in the future development of financial system. Today, many countries are participating in ICOs, there are about 2.9 million to 5.8 million active users of cryptocurrency wallets from 38 countries from five world regions, as per Cambridge Centre for Alternative Finance. ICOs give investors an opportunity to grab discounted currency prices. Once a token hits the exchange platforms, getting a discount is no longer possible. ICOs simply open up opportunities to promising projects without requiring too much paperwork. A project can simply be introduced and be marketed to the whole world, giving it a very large audience hence bigger opportunity. Evident chances of failures and poor returns. Of course, any investment comes with certain risks, there are good projects and there are bad ones. Scams and frauds. According to Statis Group – a premier ICO advisory firm, over 80% of projects (by # share) were identified as scams. ICOs are scam-filled industry that you should be wary about. ICOs are barely regulated. This is by far the utmost risk of investing into ICOs. 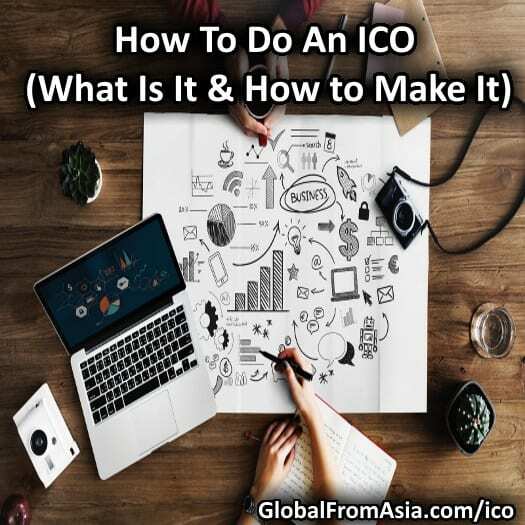 ICOs are not regulated in most countries – there is no law that requires a start-up project to be registered and certified – a reason why it became scam-filled. Certainly, without regulations, it could be really dangerous. Step 1. Establish a unique and exceptional business concept that has never been done before. Identify what your ICO can offer people. Step 2. Pre-announcement. Once a future project is established, it could be pre-announced in crypto communities like Reddit, Bitcoin Talk and other Social Media websites. This is a way to introduce the project to investors and obtain feedbacks to come up with subsequent adjustments and improvements, as well as to see whether the future project entices investors. Step 3. Make an outlined project details or a detailed whitepaper that breaks down all of the information of the project. A whitepaper basically tells if an ICO is worth investing in. A whitepaper should include the following: background and introduction, use cases, technical details, funds allocation, market analysis, ICO length, market competitiveness, marketing strategy and team behind the project. In short, a whitepaper is basically a detailed business plan that aims to entice investors to invest in. Step 4. Build an appealing website for your future project. This allows your audience to get to know your product more and be updated on the status of your project. A website usually contains the future project’s road map, contact information, white paper, video or demographics, product description and working cases. Step 5. Marketing Campaign & Advertisement. Marketing always plays the most important role in the success of any project. Publish on blogs, make a press release, get your ICO listed on popular crypto media outlets, join and advertise on Social media groups or related Reddit and Telegram channels, create a Vlog, do email marketing and join crypto events. Basically get the attention your future project deserves! Step 6. Start fundraising by reaching out to ICO exchanges to enable investors to buy and sell your token. Popular ICO exchanges can be found on Best Bitcoin Exchange. To submit your ICO, an exchange will typically ask for your coin name, trading symbol, product description, launch date, link to your website, link to your whitepaper, stage of development, sales target, and expected number of investors. ICO is an incredible and fast way of fundraising. However, just like in any business, it comes with risks. If you’re undertaking a new cryptocurrency venture, you must be very cautious with your whitepaper, terms and conditions, and legal principles. Being transparent and precise with the business concept is the main key. If you’re an investor, do your extensive research, market analysis and participate in cryptocurrency media outlets and forums to develop more knowledge about ICO before investing your money into any offering. Certainly, ICO gives both investors and founders a great opportunity to generate money and create significant projects.